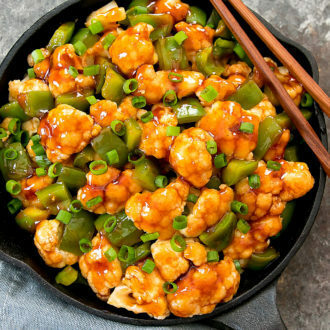 Cauliflower florets are tossed in a sweet and sour glaze for a lighter take on the popular Chinese dish. This easy dish is ready in less than 30 minutes and tastes better than take-out. Sweet and sour chicken is usually made with battered and fried pieces of chicken which are then coated in a sweet and sour sauce. 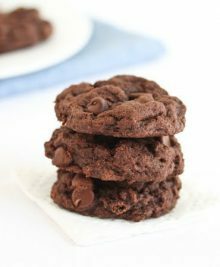 This version is a healthier take on the classic. The chicken is substituted with cauliflower. 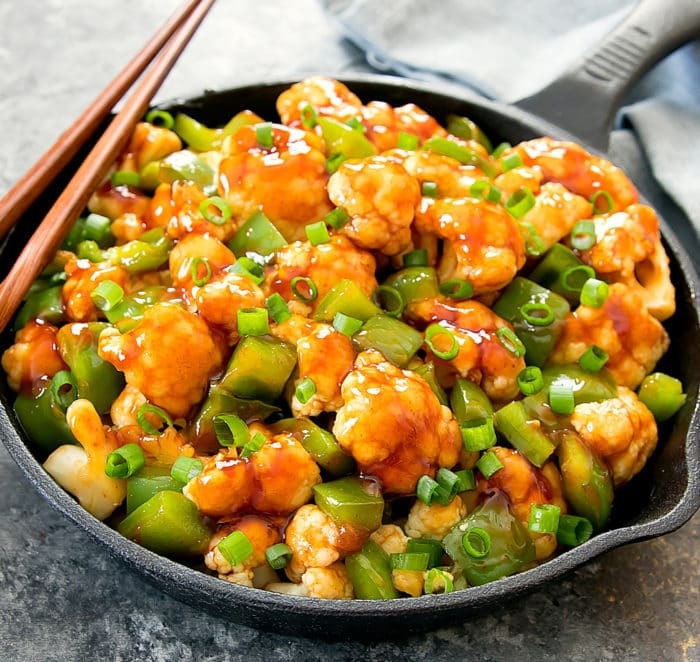 Instead of deep frying the cauliflower, the cauliflower is simply stir-fried and then coated with the sweet and sour glaze. When I was little, I liked my sweet and sour sauce to be super sweet and vinegary. As an adult, I prefer a more toned down version so I added some soy sauce to balance out the sweet and sour. I also added some sriracha to give it a little heat. It’s definitely a more grown-up version of sweet and sour sauce but you can also always adjust to your personal taste. This is such an easy and flavorful dish. Dinner can be ready in about 30 minutes. I served my dish with brown rice. You can adjust the amount of sauce ingredients to suit your personal taste preferences. 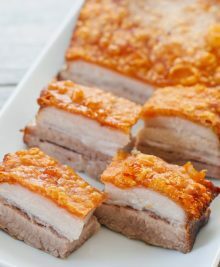 However, keep in mind that if you are adjusting the ingredients, you may also need to adjust the amount of cornstarch used to thicken the sauce. 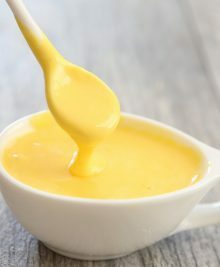 Make sure to fully dissolve cornstarch in water and stir the sauce once it comes to a simmer so that the cornstarch does not clump up. You can toss the cauliflower in the sauce without reheating your skillet, but if you wish to reheat the cauliflower, then keep your skillet at low heat when you add in the sauce to toss with the cauliflower. The sauce will thin out a little when it comes in contact with the heat. 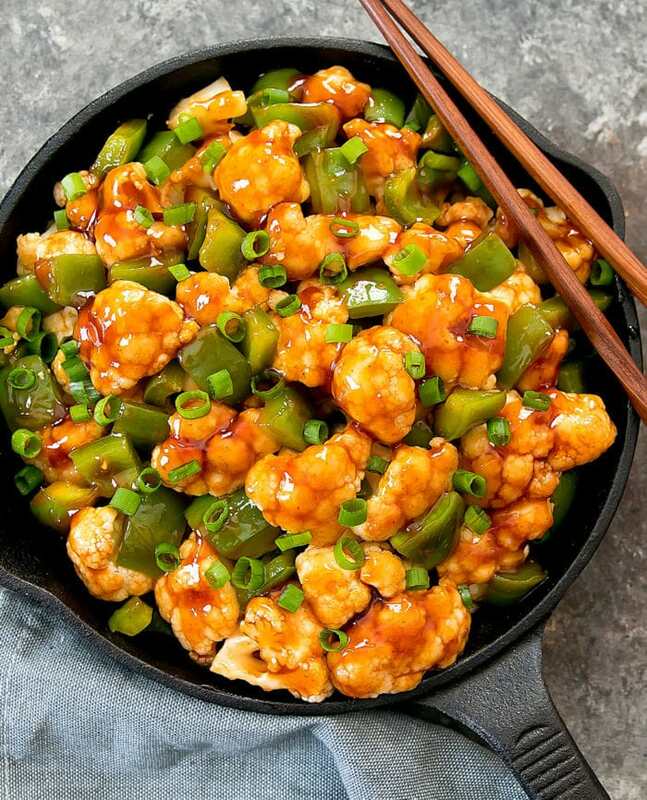 Cauliflower florets are tossed in a sweet and sour glaze for a healthier take on the Chinese classic. Add oil and garlic to a wok or large skillet and bring to medium-high heat. Allow oil to heat up and cook garlic until the aroma of the garlic is released. Add in cauliflower and bell pepper. Cook until vegetables are tender. Turn off heat. In a small saucepan, add all sauce ingredients except cornstarch and water. Whisk sauce ingredients together until smooth. Taste and adjust ingredients as needed to suit your personal preference. Add cornstarch and water to a small bowl and mix until cornstarch is fully dissolved into water. Pour into sauce and whisk until smooth and uniform in color. Bring sauce to a gentle simmer and cook and stir a few minutes until sauce is thick. Pour sauce over cauliflower. 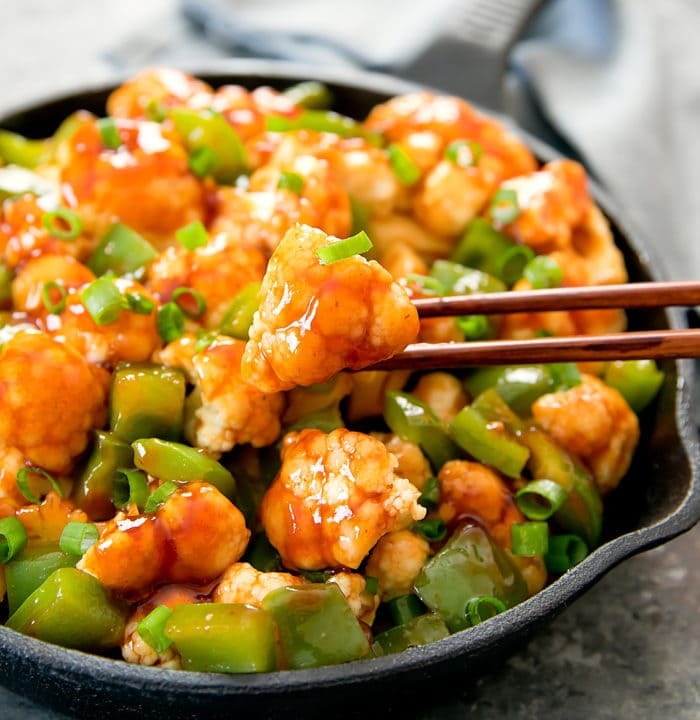 Toss cauliflower and peppers in the sauce until they are coated in sauce. Garnish with scallions. Serve cauliflower dish with rice. I just bought some cauliflower so this would be the perfect recipe!